Application Deadlines for Cambridge Writers’ Workshop Writing Retreats in New Orleans, Paris, and Granada Approaching! The Cambridge Writers’ Workshop Spring in New Orleans Writing Retreat will take place from April 13-16, 2018. Known for its Spanish and French architecture, live jazz, cajun food, and street festivals, New Orleans offers an inspirational and one-of-a-kind environment for creative writers. During the retreat, we will be staying in the lovely Algiers Point neighborhood, just a short ferry ride away from the Historic French Quarter. Our retreat features multi-genre workshops, as well as craft seminars and time to write. The faculty includes award-winning writers and literary agent Rita Banerjee, Diana Norma Szokolyai, and Natalie Kimber. There will one-on-one consultations with our literary agent, and workshop genres include nonfiction, fiction, and poetry. If you’d like to join us in New Orleans, please apply online at cww.submittable.com by March 20, 2018. The Cambridge Writers’ Workshop Summer in Paris Writing Retreat will take place from July 25-30, 2018. Situated in heart of Paris’ Montparnasse neighborhood, amongst the fresh and popular open air markets and charming boutiques, the hotel stay is full of Parisian charm and our classes will take place in a beautiful Moroccan themed room that opens to a courtyard that can also be used by our writers. Retreat activities will include craft of writing seminars and creative writing workshops, literary tours of Paris. If you’re serious about writing and want to soak in some exquisite French culture this summer, join our retreat in Paris! The faculty includes award-winning writers Kathleen Spivack, Kristina Marie Darling, Rita Banerjee, and Diana Norma Szokolyai. 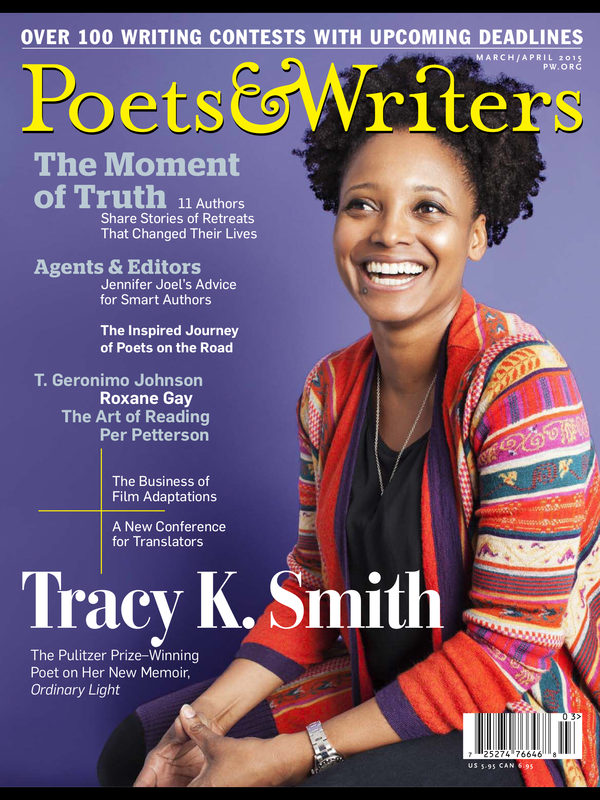 Genres include poetry, fiction, and nonfiction. If you’d like to join us in Paris, France, please apply online at cww.submittable.com by June 1, 2018. 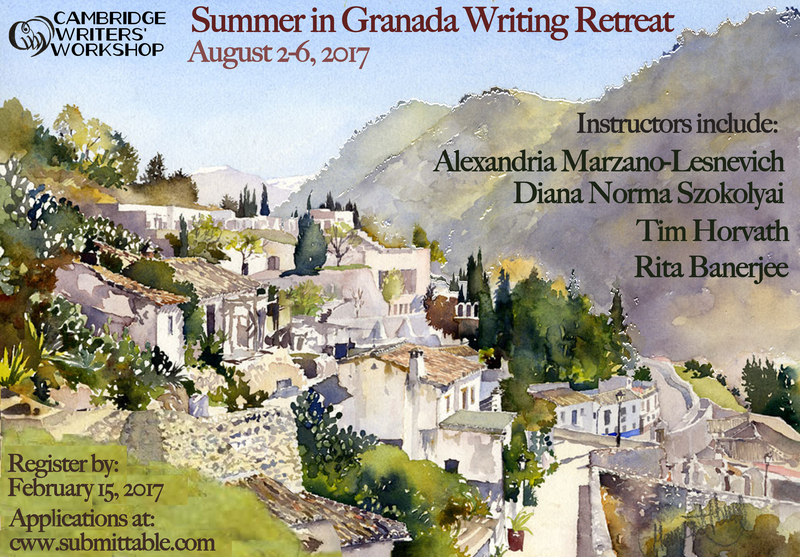 The Cambridge Writers’ Workshop Summer in Granada Writing Retreat will take place from August 1-6, 2018 in Spain. Located at the foot of the Sierra Nevada mountains in Andalucía, Granada is one of the gems of Spain and has inspired writers from Washington Irving to Salman Rushdie to Ali Smith. Let the old city stimulate your writing with its winding streets, Moorish history, and evocative landscapes. Or, indulge in delicious Andalucían cuisine and traditional Arab baths. Work on your existing manuscript, or look to the beauty and warmth of Granada to inspire all-new projects. Faculty includes Tim Horvath (fiction), Rita Banerjee (poetry, fiction), and Diana Norma Szokolyai (poetry, nonfiction). If you’d like to join us in Granada, please apply online at cww.submittable.com by June 15, 2018. To learn more about our upcoming writing retreats, visit the Cambridge Writers’ Workshop table (T403) at the AWP Bookfair in Tampa, FL from March 7-10, 2018!